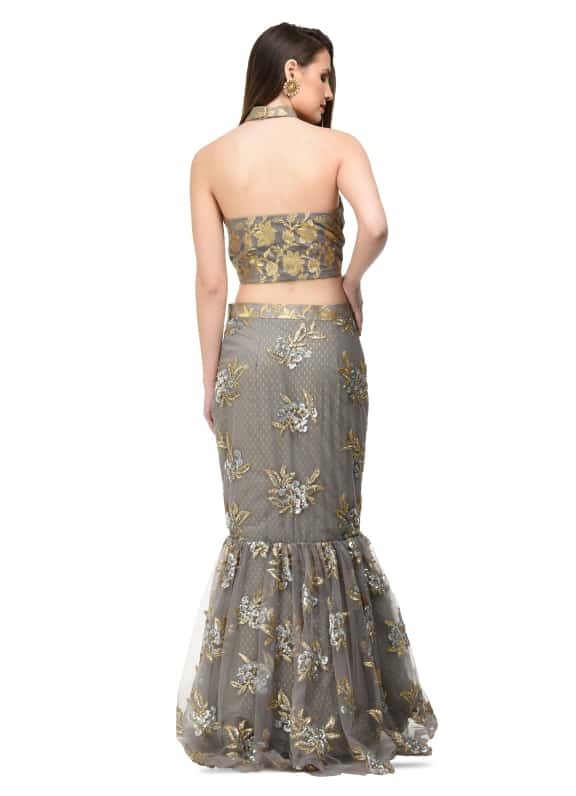 This grey silk chanderi crop top is paired with a net mermaid skirt with floral sequin and threadwork. 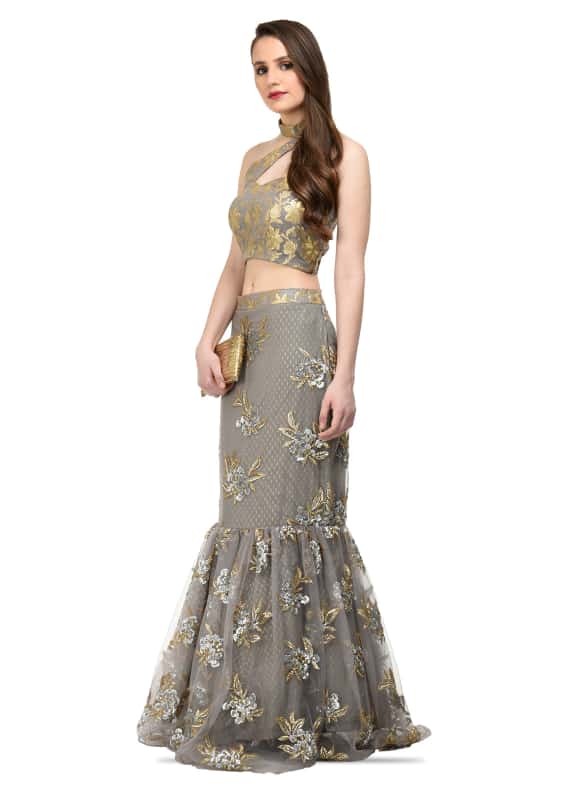 A trendy take on the fishtail silhouette, wear this flirty outfit to an upcoming destination wedding. 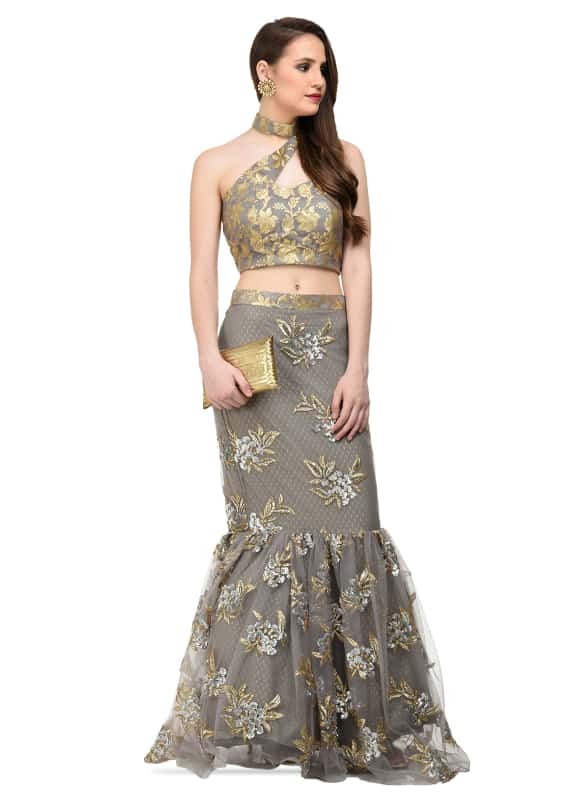 Complete the look with a pair of striking earrings by Amethyst and a metallic clutch.